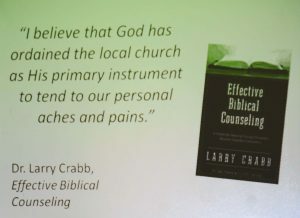 “I believe that God has ordained the local church as His primary instrument to tend to our personal aches and pains,” says Christian counselor and author Larry Crabb in Effective Biblical Counseling. But then, how can the church be that instrument if she herself is hurting still? 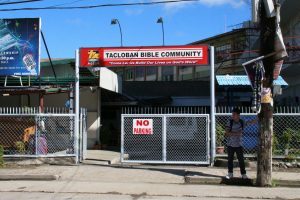 That question hovered over CBN Asia’s Basic Counseling Training in Tacloban City on May 28, 2016. This was the very city that typhoon Haiyan reduced to near rubble in November 2013. What is the significance of this training? Moreover, Pastor Ma. Evelyn D. Quero considers counseling as both a vocation and an art that requires proper skills and various processes. There should also be a set of parameters in formulating solutions with the counselee. Plus, the counselor must know how to approach each situation accordingly. “I learned that one must become a good listener to the traumatized.” Pastor Virginia Gabon underlined an important skill in counseling. So, how has this helped them personally? The training helped Harold a lot in knowing how to deal with and manage emotions before, during, and after the counseling sessions. 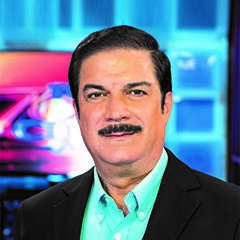 “That is a prerequisite, that the counselor must take care of himself,” agrees Niel Gonzales. Doing so leads to being effective in the ministry. There’s a need for an effective counselor. The necessity to have someone who cares and empathizes. 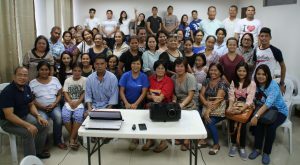 How could this training complement the church? “It will make us more effective in the ministry”, says Christine Dacula. Proper approach to every issue in the church will help maintain trust. “Knowing all these, we will be confident,” in bearing one another’s burdens, and in fulfilling the law of Christ, says Christine.